Chiropractic care is focused on helping the body use its own amazing healing abilities. The nervous system plays a significant role in your health and wellness, and Dr. Clay Ramos in Meridian, ID specializes in the nervous system and the innovative methods that prevent injury and relieve pain by getting to the root of any problems you may have. Because the body is a complex system just like an engine or computer, you will discover that when one component is not working properly, it can affect other areas of the body. True correction involves getting to the underlying health issue rather than covering up the pain with medication or surgery. Just because your back is causing you pain does not mean that the only problem is located in that particular area. Dr. Clay Ramos treats the whole body using non-invasive yet effective techniques that not only relieve pain, but also improve overall health and increase total wellbeing. If you have ever been to a traditional doctor, you are probably familiar with the sick care health model that encourages people to visit a doctor only when sick or in pain rather than utilizing proactive measures to prevent the health issue from ever happening in the first place. Chiropractors take a different approach that is more focused on actual health care and not just sick care. Each person who undergoes chiropractic care does not simply get relief – they are guided towards the best way to care for their body to prevent future injuries, sickness and to achieve the healthiest life they can. 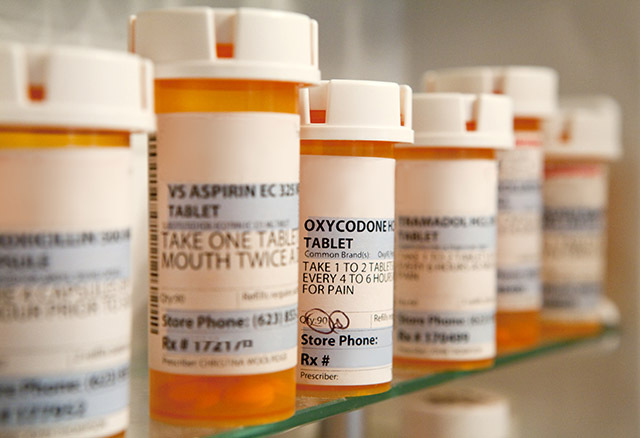 When masking pain and injuries with medication, you may find your body does not heal the way it was designed to, and this can cause future complications and long-term issues. At Foundation Chiropractic, we take a non-invasive and natural approach to recovery, health, and preventative measures. The body is incredible at healing when given the opportunity and the means to do so, and chiropractors are committed to going beyond temporary relief. Using spinal adjustments and focusing on the communication between the nervous system and the rest of the body, chiropractors help your body communicate better within itself to optimize function and show improvements within the framework. You will notice this in your daily life when your body has full mobility and your health is at optimal levels. Make an appointment today by calling or filling out the quick contact form online, and see for yourself the impact chiropractic care can have on your health. Do not throw in the towel and think that you have to put up with recurring pain or regular sickness for your entire life. You can reach your optimal level of health and wellness, and it all begins with a consultation at Foundation Chiropractic in Meridian, ID.